SANTORINI – Drones have been used to spy on tour boats in Greece. 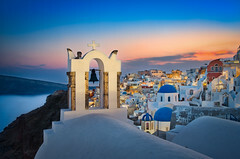 Greek tax authorities have used drones to monitor tax compliance in Santorini. The recent use of drones is part of an experiment by tax authorities to catch out tax dodgers in the popular tourist destination. The drones followed and recorded nine separate tour boats, and evidence was collected on the number of paying passengers the boat had. Tax authorities compared the information they gathered on vide against the declared receipts and revenues provided by the boat-operators. It was shown that the boat-operators under-declared their incomes by approximately EUR 29 460. Tax authorities claim that they have increased the extent and number of inspections that they are conducting in tourist-heavy areas. 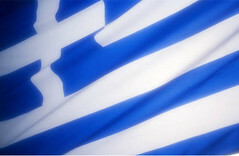 ATHENS – Greeks work for nearly two-thirds of the year just to raise enough money to pay their taxes. According to the results of new research conducted by the Greek think-tank Dragoumis Center for Liberal Studies, Greek taxpayers need to spend 203 days working this year in order to earn enough to simply cover their annual tax bill. The new research shows that in 2017, Tax Freed Day, in Greece will fall on July 23rd. Tax Freedom Day is a theoretical measure of how long it takes the average taxpayer to pay off their tax obligations. The date of Tax Freedom Day this year is 15 days later than in 2016, and nearly 2 months later than in 2006. Only two countries in the EU have a Tax Freedom Day falling later than Greece, being Belgium and Greece. 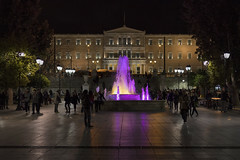 ATHENS – Tax returns from Greek taxpayers are starting to be filled, and early figures show that those that need to pay extra tax are only set to dish out EUR 620 each. With less than two months to go, only 5 percent of all Greeks who need to file a tax return have done so, according to new information released by the Greek Independent Authority for Public Revenue. In total only 368 537 returns have been filed. Approximately 53.8 percent of the returns submitted did not make a claim for any tax refunds, nor did it state that the taxpayer had any extra taxes to pay beyond the amount which has already been withheld. Nearly 16 percent of the returns filed claimed that a tax refund would need to be issued, with an average refund amount of EUR 312. ROME – A significant portion of Greeks claim that they do not need to pay any income taxes, nor did they earn any income. New information released by local news sources in Greece has indicated that approximately one third of Greeks in Greece paid no taxes in 2016. In total, 2016 saw 8 645 596 individual tax returns filed in the country, with a total amount declared income of EUR 74.2 billion. In 2015 the total amount of income declared was EUR 73.9 billion. The average level of income of Greek taxpayers in 2016 dropped by 1.1 percent compared to the previous year, however, the average level of tax paid rose by 3 percent. The total amount of personal income tax paid in Greece in 2016 was EUR 8.2 billion, while in 2015 the taxes paid was EUR 7.8 billion.